CH. 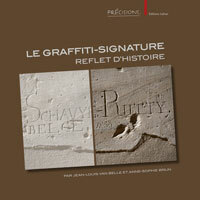 LEBRUN, « Le cas d'Ewri-Sarruma, fils royal », Res Antiquae 8, Bruxelles, 2011. Ewri-Sarruma is one of these high-ranking persons of the Syro-anatolian society which is DUMU.LUGAL "royal son" and which we find in the texts of Ougarit, Bogazköy and on the seals of Nişantepe. This article takes back all these documents, the various written forms of the name Ewri-Sarruma as well as an analysis of this person. I also try to date most exactly possible these texts and seals.